Emulsifying mixer has two cycles, inside and outside. Installed at the bottom, this machine can work hydraulically. When the homogenizer is up, this product blends in the tank. 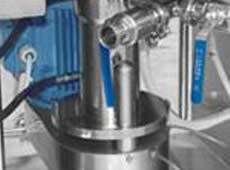 This product completes inside and outside cycles when homogenizer is down. This machine discharges easily and powder material can be sucked from the bottom. 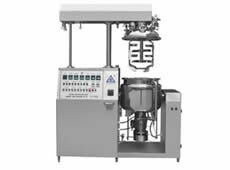 We are an experienced emulsifying mixer manufacturer and supplier in China. 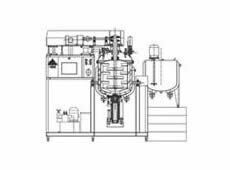 We also provide bottom homogenizing vacuum emulsifier equipment, medical high purity nitrogen generator, pharmaceutical coating machine, capsule sorting polisher and so on.